I have so much work to do, but this pair of posts is something that I absolutely have to write, so here we are. Not that I shield my long-suffering readership from my all-too-frequent sightseeing excursions into my own navel, but this might be even weirder (also potentially more uplifting) than the usual fare. And it’s a two-parter. I don’t remember feeling like I didn’t fit anywhere when I was a kid. I probably should’ve, but didn’t, or at least it didn’t bother me too much. Even as a kid I was what I would call ‘an acquired taste.’ I wasn’t popular and I felt that, as far as social graces were concerned, there were all these rules that other kids had internalized in daycare but I never had, as I had been cared for by my grandma before starting school, but I was a kid generally at peace with myself. I liked what I liked; I was very good at academics and competed in science and math; I also played sports in high school, and while I wasn’t popular or anything, I truly never cared about that anyway. I felt that the things I had going for me were generally good things, things that made me stand out in a good way. But throughout most of my adulthood, I have been feeling that I am not how I am supposed to be, that I don’t fit in, and that everything I have achieved is not because of my strengths but by some sort of miracle and in spite of my numerous and overwhelming weaknesses. Why I feel this way I do not know, but the feeling has been growing over time, over the past twenty years. Perhaps it’s because I am now middle-aged, or because I live in a country where I didn’t grow up (although as I hit 18 years of living in the US that seems like an increasingly lame excuse), or because I do the job that I do (macho field; very competitive; relentless criticism and rejections; women few and far between), or because of the prevalence of social media and my reluctant but increasing participation in them… But yes, I’ve been feeling ever more that all that makes me me is a collection of maladaptive traits and that I have been doing reasonably well in life by sheer luck and despite of myself, because how I am couldn’t possibly produce anyone who’s capable of achieving anything. In great part, the reason I feel like I am some kind of freak is that all the women with whom I tend to identify (highly educated and professionally successful women) in my life and even many I meet online seem to be absolutely nothing like me. Absolutely nothing like me. I am like the bizarro-universe version of them. This includes several female colleagues who are held up as role models of female excellence in my and related fields. What brought this up, you ask? There are some other blogs that are connected to SHU’s but that I just can’t follow (such as Laura Vanderkam‘s or Lag Liv). I am sure the women behind these blogs are nice people, and they have lovely and large families, but their blogs are very much not for the likes of me. I understand these are curated online personas, but every post on these just makes me feel ugly, fat, uncombed, friendless, stupid, and generally a disorganized pathetic excuse for a woman and a mother. Again, not their authors’ fault, but this is the effect they have on me, so I don’t read them, other than on occasions when I am really in the mood for some quality self-loathing. But SHU’s blog has a different tone, which has melted my Grinch heart, so I generally find myself cheering her and her family on from the sidelines (I don’t comment there often). I find SHU’s planning posts fascinating in an alien sort of way. This modus operandi is very, very far from mine. I have tried various planning exercises in the past and they only end up making me extremely anxious. They don’t help me get organized or relieve pressure; instead, they make me feel like my whole body is covered in poison ivy and I need to get out of my own skin. I have always thought that I’m a freak because normal adults plan this way, and that I am simply self-indulgent and hopelessly immature. And then for some reason I did the Myers-Briggs personality test (and this wasn’t even the first time in my life that I’ve done it, but I always forget what I get). I did this one ; there are others. 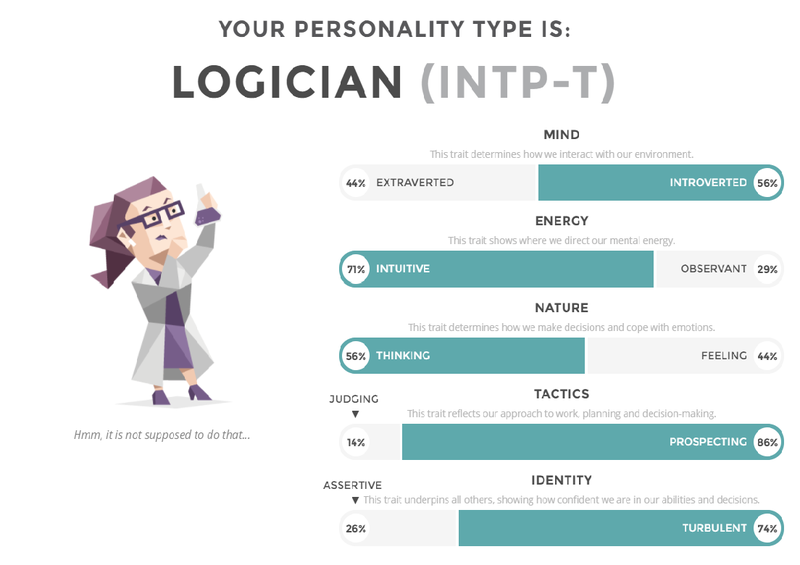 It turned out I was an INTP(-T) and I felt that the explanation of the personality traits really captured a lot about my approach to life, both the professional and the personal. I’m not a freak! I have a legitimate personality type, albeit relatively rare: only 3% of the population (also here), but nonuniform between the sexes: 4.8% men but only 1.7% women — I guess it’s not surprising that I feel like a freak? I mean this half in jest; I know these tests are not really scientific, but it did make me feel quite a bit better in the moment. I am embarrassed to say this, because I am a forty-four-year-old woman and I should by now know myself and the world and everything else, really, as well as I ever will, but there you have it: a Myers-Briggs personality test made me feel understood and OK in a way that the I haven’t been able to get from the real-life crowd around me in a very long time. Not a freak, just an INTP(-T). I will take it. I did the test again today so I’d get a screen shot. Behold! I believe the propensity for making lists would be encapsulated under “Tactics.” When you see how strong my P is, it becomes clear that I am comically unlikely to be a list maker. I’m glad you feel validated (and that is totally worth something) but the Meyers Briggs is unfortunately not a scientifically valid personality measure. That doesn’t mean that you wouldn’t find out something similar with other validated measures. I took the test too…I am a Mediator INFP-A. It is sooo accurate it is scary! Of all the list of things they explain only 3 or so would not apply to me. I have always felt like I didn’t fit as a kid. But I do think I fit more now…knowing I never will, but it is not as acute as when a kid. Interesting the influence of country. I don’t totally fit my EU country of origin or the US. I’ve been away 6 years now. I did that test recently and I got INFP-A (hi Lucy 😀). From what I’ve read it is not clear that the test is very replicable, but it made me introspect a bit and think on how I act. It does feel representative, though. Interesting–I got INTP(-A). My life experience sounds fairly similar to yours in that I never really felt like I fit in, and I don’t really care much about other people (or socializing). On this test, I ended up 93% introverted! I never learned true social skills, but over time developed a list of rules (when this happens, do this) that lets me function in social settings. I never have many friends (which doesn’t bother me) and it takes me a long time to find them. I have always just followed my interests, even if they are unusual (and many are encoded “male” in our society). No wonder I like your blog so much! I took a look at the SHU box blog. It is nice to read. Something to note is that everyone who blogs in their real name are putting on some sort of image. It is pseudo genuine. (Cloud is an exception in the sense that her blog is really quite genuine) SHU is selling something and that is one can have it all by being a master planner. She is right to a large extent. But there is an element of theatre. I read pioneer woman blog. Mostly I cheer alongside millions (I think) for her lovely family whose pictures fill the blog more than food pictures. On one horrible week she lost her nephew and her dog. She wrote more about her dog not because she cared more for her dog ( maybe she did who knows) but because losing the nephew was too painful to write and it would impact her image. Shortly thereafter it was back to food and fun. It isn’t reality. But it also doesn’t have to be because she is selling something. Your blog is genuine and you use it to connect with people (and sell your book 🙂 which I have been meaning to buy since my son plans to do a physics PhD). A problem with being a successful woman in a male dominated field is most people would think it is normal if we failed and a good many would be down right delighted. We are anomalies to men and women. They don’t get us and that comes across in conversations and interactions all the time. We end up internalizing that misfit sense so even when we are successful something doesn’t feel right. Best one can hope for is a supportive group of friends anonymous or not. Interesting test and scary how accurate it sounds. I am apparently “The Architect” INTJ-T, extremely rare in women 0.9%. 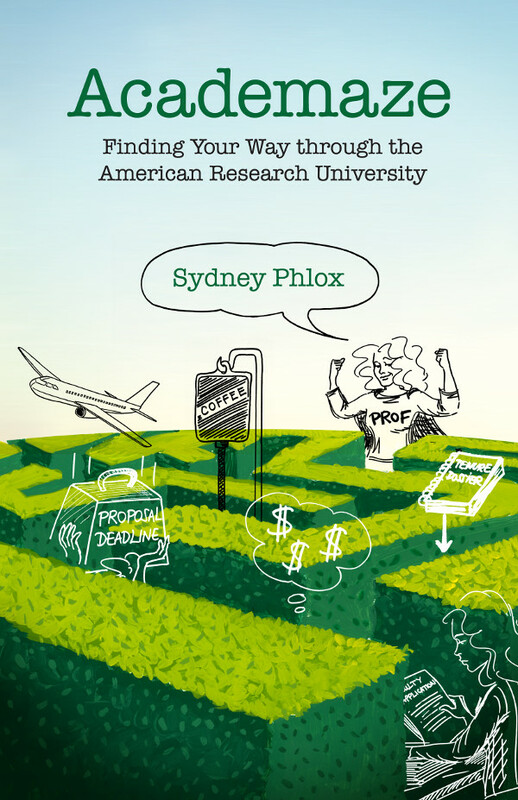 I love reading SHU box blog (Academomia as well, I found out about them from your blogroll – thanks so much!) and now there is some “evidence” why I feel I am so different than her, but, at the same time, I love getting some tips on planning and hopefully implementing them now and then. At the risk of hijacking the thread….I think two things are being conflated here (at least in some comments, not so much the OP). One is the way that one’s personality type works with respect to planning behaviors. The other is the way that an individual blogger represents her behaviors on the blog. Thank you for this post! “I have tried various planning exercises in the past and they only end up making me extremely anxious. They don’t help me get organized or relieve pressure; instead, they make me feel like my whole body is covered in poison ivy and I need to get out of my own skin.” Yes, yes, and yes. That’s why I don’t plan, but I do record. INTP here, via multiple online & offline tests (anyone can see some of them by searching INTP on my blog, if they’re interested). One of the things that the test made me be at peace with was the dread I feel for any non-work planned thing in the future–a party, a dinner out–because it makes me feel trapped–“need to get out of my own skin.” Tell me I have to go out to dinner in two hours, and I sit there mute and miserable, dreading it. Say, “Hey, let’s go out to dinner” and I’m in the car before you can finish talking. Totally irrational, but at least it’s consistent. One of the reasons I follow your blog is that you come across as a real person, not a fake persona… This is so rare nowadays and very refreshing. And you seem extremely energetic and productive, so I don’t think it matters whether you’re a planner or not! Hi all, the next installment will be about how I stay on top of things without being organized (actually, without being organized through planners and other common tools of organization). SHU is my Myers-Briggs polar opposite (ESFJ) and she is curious how I keep track of things. I would like to invite everyone else, especially my fellow INTP (Hi Prodigal and undine! 🙂 Maybe zinemin too?) and others who are planner averse (maybe all with a P?) to chime in with their strategies in the comments to the next post. @undine: I’m so happy you brought up the ‘trapped’ feeling! That’s my feeling too! The minute there’s a plan I feel like I have to flee, to break it. I find most commitments to be just stifling, even though the thing itself may not be something I dislike at all. Just that I *have* to do it since it’s been planned makes me want to jump out of my skin. Normal people don’t plan everything to the utmost millimeter & have explicit task lists written on special task stationery with five different colored pens to distinguish the task categories. So fucke all that noise & don’t beat yourself up. I am ENTJ. What’s with the 5th letter? Never seen that one before. I’ve always been like you seem to be close to 50-50 on both I/E (once I even got E) and F/T but VERY N and P. So… uh I/ENT/FPs Represent?? And don’t worry. NP anything is rare (I think like 10% total). So you’re still werid even if those categories flipped. I’m ENTP-T. I posted it on FB saying, “Now I know why some people just can’t stand me (and why I don’t really care).” 🙂 This was a good test. I thought the results were spot on! Hi! 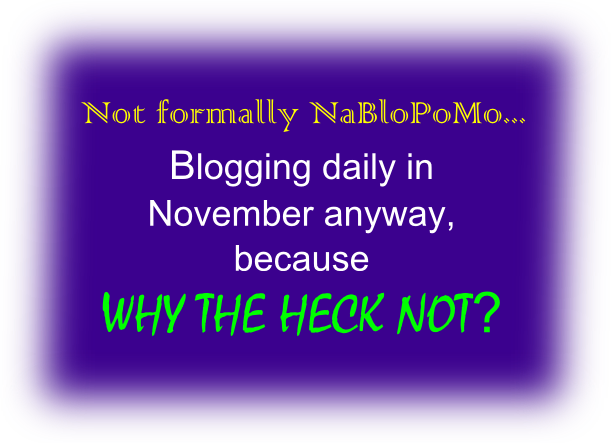 I am intrigued by the discussion of my blog – so funny, I feel like I’m lurking on a review site or something! For the record, if I’m selling something . . . I’m not sure what it is. 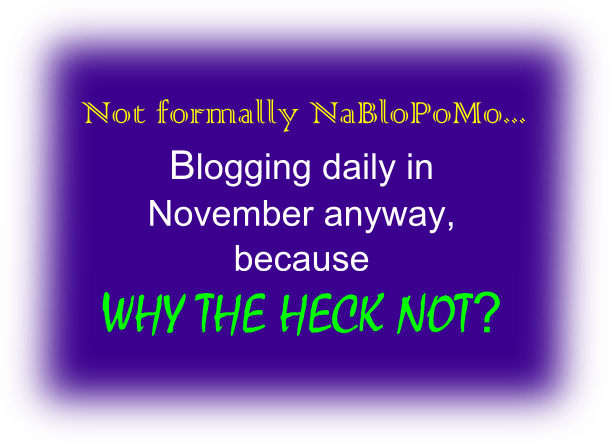 I blog because I love it (going on 14 years now . . .), and write about planning a lot because . . . I love that too. Anyway, I retook the test and yep, ESFJ-T. So we do have the T in common 🙂 I do think the description sounds a hell of a lot like me. Hi SHU! I know you don’t sell anything and I hope it’s clear I’m a fan of your blog! I’m sorry about the comments that didn’t get things quite right about your blogging. Thanks for stopping by! oh no worries at all – commenters are entitled to opinions 🙂 I just felt like I had to respond! Another INTP and longtime silent lurker here. I’m wondering whether we’re overrepresented among female academics? I’m in the humanities, though. Maybe I answered many questions like an extrovert where I really don’t feel like one. Appreciating social connections is a skill I’ve trained against my nature. I learn from people and I have a good algorithm for filtering away bad ones, so I appreciate those I spend time with, but I’m still drained after. I also don’t believe in immutable personalities. I think my parents (parent actually) shaped me a long way away from my natural tendencies and I appreciate him immensely for doing so. Passion and drive for my work was something I faked until it sort of stuck and became part of me and it was the same with social skills. It was great hearing about your experience with the INTP-T personality. I know some people that probably fall into the same category and I think I understand them a bit better now. I took the test and I’m apparently an ENFP! Very interesting. I’m a tenured science professor at an R1. I never make lists because it takes too much time, and because I hate lists. A list implies that everything on it has the same priority even though that is totally incorrect – a list unfortunately keep you focused on doing a list of things just because, not because they are important. In reality, my prioritized activities change daily. At the beginning of each week I jot 2-3 priorities on a post it note and stick it on my computer – and I try to spend most of my time on those things during the week ahead. Usually these are focused on student crises/emergencies, academic issues, grants and papers from my lab, or policies and strategy changes I’m pushing for. I try to limit my time on email, spending only 2-3 hr per day beginning at 4 am when I get up. I go through email while drinking coffee, trying to deal with each email right away with a quick decision or I send it to a delegate to deal with. I usually never get through all my email, but I do scan all of it for emergencies. I ignore a lot of emails though. If it’s important it comes to my attention later again. I have trained myself not to not worry about leaving some unanswered-emailing can consume all your time if you let it. At work, I meet with people in my lab, counsel students, attend meetings with business people and leadership, attend a seminar here and there, teach classes, and spend a lot of time also meeting with faculty in my department about their own research and students. I usually do writing by blocking my time and working from home, because when I’m available, too many people stop by my office. I find however that is usually worthwhile to chat with people – collaborations and science happen, and everyone need someone to hear them. Relationships are what keeps everything running smoothly at an academic institution. I have very little tolerance for complications or stress in my everyday life. I raised 2 kids while divorced and single for most of my career so I really didn’t have time. My house is extremely tidy because I am lazy and that’s the way I keep from losing things, it’s calmer for me, and it’s easier to keep track of bills etc. I have a housekeeper come twice a month to clean. I drive a car that is super reliable. I have a lawn guy and a snow guy. I call the plumber or furnace guy at the first sign of trouble – it’s easier to just fix things right away than to deal with unpredictable disasters. I never volunteered at my kids school, never went to student-teacher conferences, and my kids didn’t participate in school sports – driving them everywhere for school things was not possible if I was going to work. I had a nanny for the kids when they were young, we had tons of books and toys in the house, they saw friends a lot, and we took vacations in the summer all over the world. When they were in high school they managed their own transportation and participated in school clubs and did internships and so on. My kids turned out fine – healthy, normal weight, good grades, got scholarships, they are both currently in college.